Tragopogon porrifolius is similar to the more familiar Tragopogon pratensis, but with purple flowers. 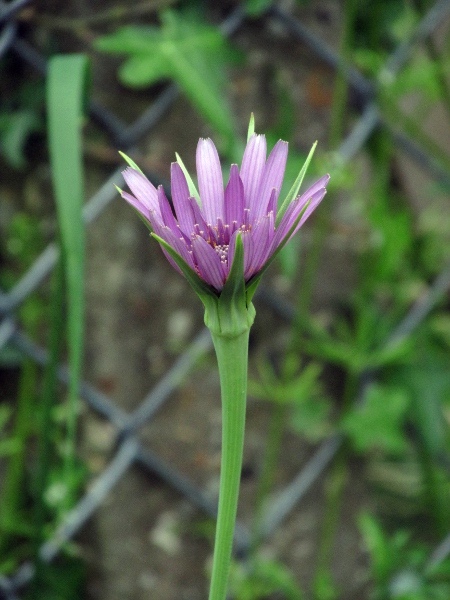 The leaves of Tragopogon porrifolius are long and narrow, widened at the base; its root, ‘salsify’, resembles a thin parsnip. 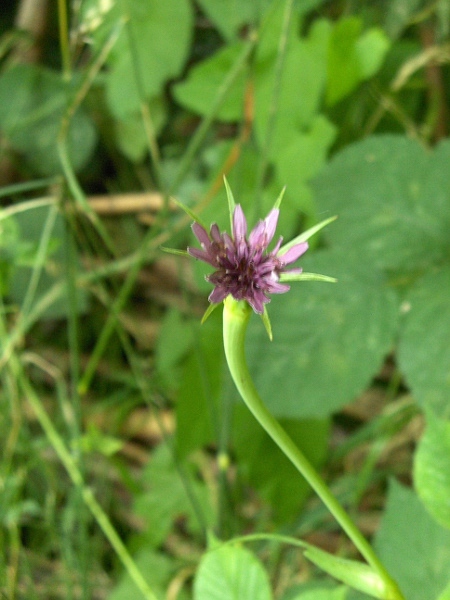 Tragopogon porrifolius subsp. 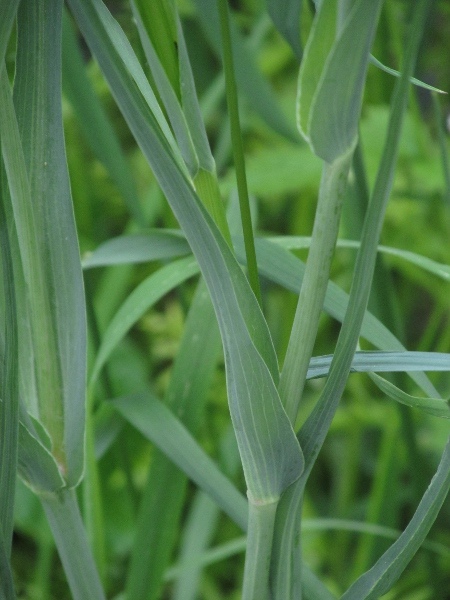 australis has ligules about half the length of the phyllaries, unlike T. porrifolius subsp. porrifolius.